If you have a young child, then you know it’s important that he or she learns the letters of the alphabet even before entering kindergarten. It’s quite simply the foundation for all words, both written and spoken. So, how do you help your child learn the sounds that apply to each letter? Those sounds are known as phonemes, and they help your child to connect each letter with its sound. So, when do you start teaching your child about phonemes? You might be surprised to know that the conventional wisdom suggests that you should start at birth, long before you child is ready to work with speech worksheets. Ideally, you want to begin reading to your child, and filling his or her life with words, books and letters practically from day one. It should be as much a part of his or her life as eating, bathing and brushing teeth. As soon as your child shows interest, you should get started teaching them about sounds. Don’t worry too much about specific methods, like pre-k worksheets, beginning sounds worksheets and so on. Each child learns differently. Some will simply learn with very little exposure, while others will need quite a bit of guidance. Most kids will learn about sounds and letters by the time they’re five or six, simply because of exposure to school programs what will offer beginning sounds worksheets and other educational aids. But if you want your child to have the advantage over his or her peers, you can definitely start at home. You’ll give them an edge and also foster a love of learning that will stand them in good stead in later grades. Begin with the first letters of your child’s name, and then progress to his or her friend’s names. Make it fun. He is MMMMMMMichael! His best friend is FFFFFFFiona! Get your child to think of other names, or even make them up. Easily exaggerated sounds are the most fun (see above!) Talk with your child about the way his or her mouth works to make the sound. Once a few phonemes are learned, it’s easier to make other sounds. Work with your child to make up nonsense sentences: “Miss Miniature Mouse messes mostly when munching meatloaf.” Or “Sylvester Snake slithers slowly southward.” Make it fun. Your kid will graduate to school and pre-k worksheets soon enough, and this will give him or her a good grounding. Kids love to hear stories, and there are so many great books out there that can help you sound out phonemes. Dr. Seuss books are a great example. “I do not like them SSSSSam I am!” “One FFFFFish, two FFFFFish….” etc. Read to your child, and point out how the sounds in the book are the same ones you’ve been working on. 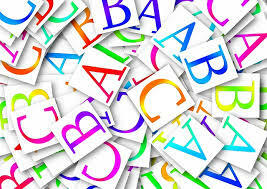 Remember singing your ABCs when you were in school? There are all kinds of songs online that will help your kids to learn their alphabet, and how to sound out. We really love the Alphabet Song by GuruParents.com. It features all the letters of the alphabet, along with the sound that is made by each letter. It’s catchy and your kids will love it. You might even find yourself singing along! Kids love to sing. So whether it’s a cute, catchy little song, a rap, or a four-liner, you can bet that a song will help kids learn to sound out letters. Later, they can move on to speech worksheets, but for now, let’s just make it fun. There is any number of ways to help your kids learn how to sound out words. You can find activities, speech worksheets, and songs online that will help them to learn. The main thing, in the early years, is to make it fun. Kids have to have time to be kids, so you don’t want to work them too hard. Just provide them with quality learning aids like those that are available from TurtleDiary.com, and remember that kids learn by playing, so play with them.